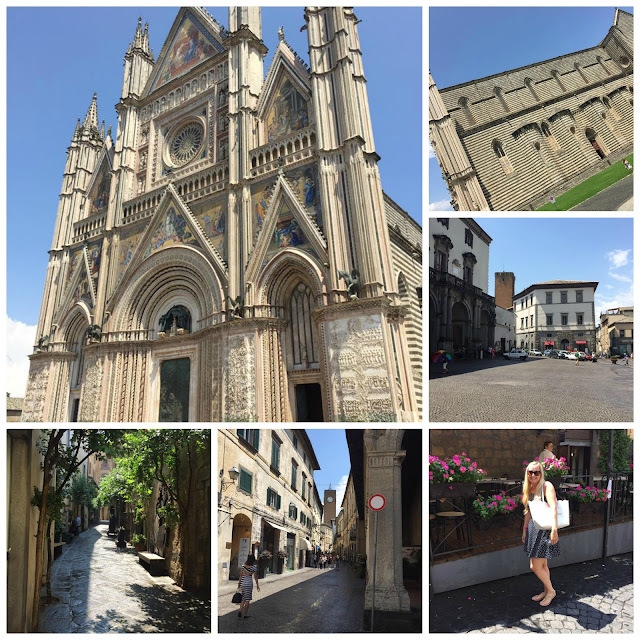 "The Piazza del Duomo in Orvieto, as it's easy to tell from the name, clearly owes its existence to the Duomo. In the town of Orvieto, all roads lead to this piazza, just as all visitors to the town naturally turn their footsteps along the Via del Duomo that flanks the square's west side, towards the majestic cathedral that towers over every house and palazzo on the square. In fact, much of the piazza was built around the Duomo while it was being completed over a period of more than three hundred years." Every road and turn held something beautiful!